If anyone has any questions about Sonic the Hedgehog, these cuties are the experts. The boys are avid Sonic fans, and their faces absolutely lit up as they taught us about all their favorite characters. They could not resist running around their home as fast as Sonic can, which of course ended on the couch in a pile of giggles. Mom and Dad got in on the fun too. Mom stood up and sat on the table, and soon the whole family piled on. We love spontaneous shots like this, because they are often they bring the most genuine smiles. Pets are always welcome on our photoshoots, as a pet is a family member after all! We loved that Sneakers the Dog got in on a few shots too. Also, nothing makes me happier than when mom and dad are able to get in a little of their own snuggle time. Usually when we ask the question "When was the last photo you had together?" the response is "our wedding day!" So yes, we like to give mom and dad a few snuggly moments on their own, afterall, this is where it all started. It was particularly sweet to see the way these two make each other laugh without even directing them, so much love. Welcome Henry! This little guy was a over a week old when we met him at his family home in Danvers. The life of a newborn is tough; lots of sleeping, eating, and posing for the camera. But thankfully, he has two big brothers to help him out. These cuties are full of energy. 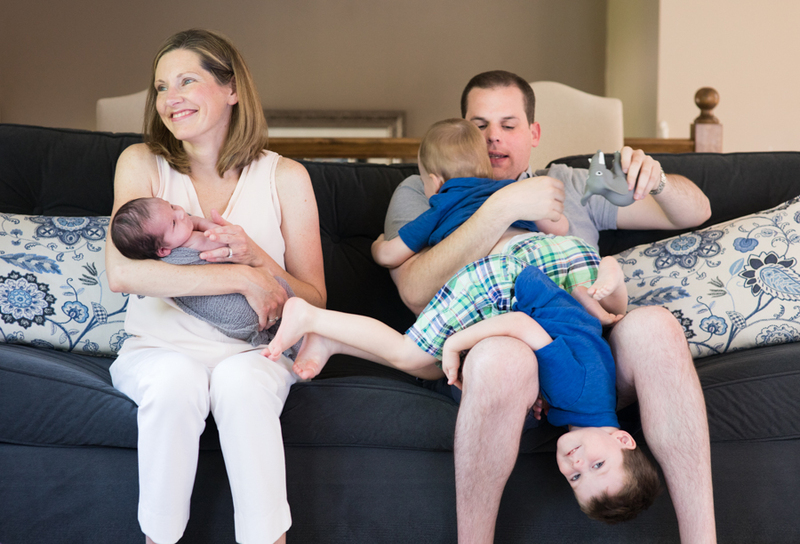 Getting three little ones to look at the camera and smile can take some trial and error, but I loved capturing the spontaneous and loving moments this family has together. From running around playing make believe to dancing along with their favorite toys, they always had time to give a gentle kiss on Henry’s forehead. I absolutely melted when Sully kept on telling me how much he loved his new brother. 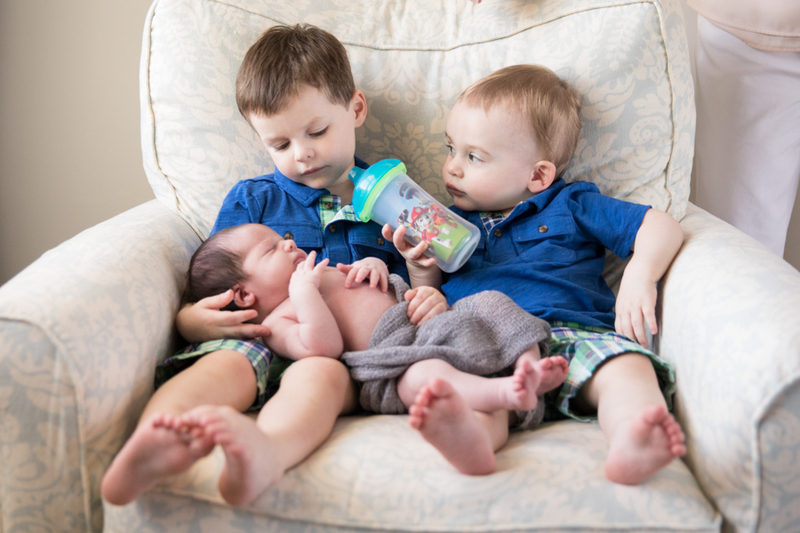 Mom and Dad are going to have their hands full with these lively boys, but this little family has grown bigger in both numbers and love! Say hello to our Senior Rep Alena! Alena loves playing sports outdoors, so it is only fitting that we incorporated florals, nature, and exposed stone in her portraits. Alena brought her bright smile right on set and worked it throughout the whole photoshoot. We had so much fun exploring the area around the studio; the field and the mill buildings all lent fantastic textures and colors that complimented Alena’s outfits perfectly. We have also photographed Alena's sister Clara, Class of 2017 senior, and her entire family, whom I have come to know and adore. I can see where Alena gets her big heart from, her family consists of some of the most kind people I know, nothing but love for each other and positivity to spread to the rest of the world. 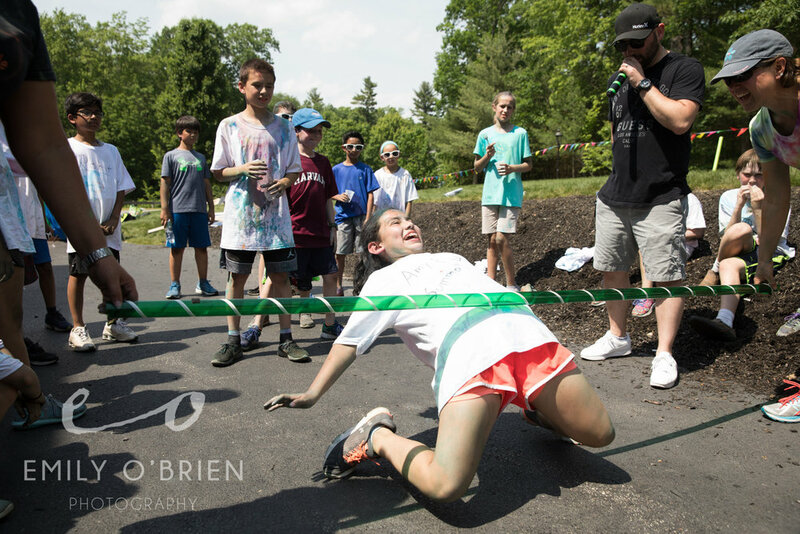 Boston Event Photographer | Summer Color Run! I know we are (kind of) into the swing of fall, but I have to look back on this Color Run that kicked off summer for these Pike School students. Monx Design always impresses me with their events, and what better way to celebrate the 5th grade class, than hosting a Color Fun Run?! These kids were a joy to photograph, as they were not afraid to get into the action! They ran, skipped, and leapt their way throughout the different obstacles. And boy were they fast! Of course, these sassy kids never gave up an opportunity to strike a pose! In my book, the sillier the pose the better, and often leads to a fit of giggles and amazing photos. But the best part of the Fun Run is getting MESSY, and wow did they go for it. When they were not running through the obstacles, they were throwing pigments on both their friends and themselves. I will never forget seeing Norbert pull out the leaf blower, turning it on, and a cloud of color come billowing off the kids. The fun did not stop there. The DJs soon brought the whole house down with wacky games, limbo, and plenty of dancing! Finally, a special shoutout must be made for Monique and Norbert for putting on such a memorable event! 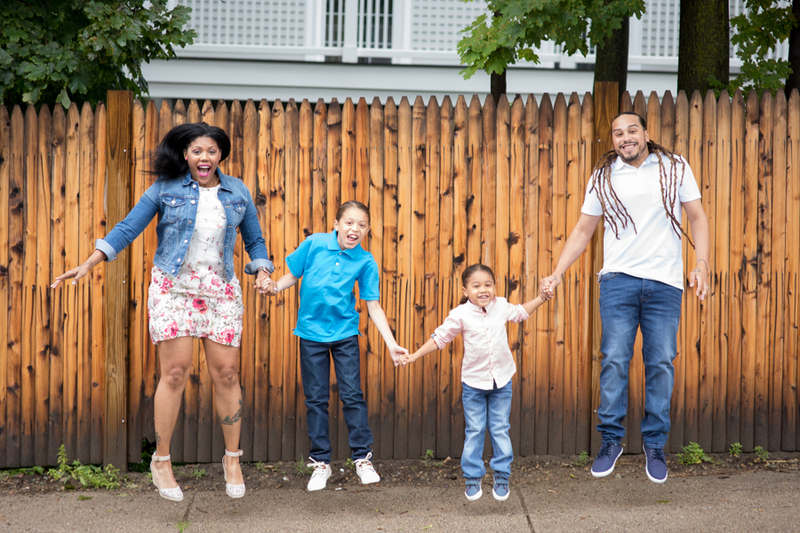 Boston Family Portrait Photographer | I Love My Clients!!! I love love love when I get to photograph families every year. Being able to see and capture kids' personalities as they grow and develop is part of why I love what I do! And giving those moments to my clients to hold on forever to is the best. THE BEST. The Rainens are 3 of my favorite people. I met Kim at a coffee shop at an Andover networking event over a year ago. She said her husband David needed a headshot, so we exchanged info, and I took David's photo a few weeks later. That turned into Kim needing a headshot as well, which turned into family portraits of course! Avi was 8 months old at the time, the perfect age to document him starting to stand and take his first few steps. Then we photographed his milestone first birthday with a cake smash (which by the way he wanted nothing to do with the actual smashing of the cake). Kim planned his birthday using bright bold primary colors, so we kept with that theme, and I loved how they turned out. This year, I got to photograph Avi again for his 2nd birthday. I couldn't believe how he had grown into such a little boy. He loves tractors, trains, and BATMAN. When Kim and I were planning for his session, we knew we had to incorporate all of this into his session. When choosing a location, it only made sense to shoot at Smolak Farms, where his birthday party would be. I love Smolak for its versatility - apple orchards, tractors, open fields, and of course, animals. The second best thing about my job is when I show clients their images. ::All the feels:: when I get to see their face light up (or even tear up) when seeing their video of these beautiful (and sometimes silly) moments that we captured together. Nothing is better than family. Boston Portrait Photographer | Welcome Our Class of 2018 Senior Reps! Hey I'm Caroline! I am 17 years old and I live in North Andover, Massachusetts. I go to Central Catholic High School. For the past 14 years, I have been a dancer at Nancy Chippendales Dance Studios. With these years, I have had amazing experiences traveling around the world for example: dancing in Florida, Rhode Island, Connecticut, New York, Nevada, and even Germany! Although I do not wish to pursue a future career in dance I find it the perfect way to meet new people and stay active. One thing that I thoroughly enjoy to do in my free time is listening to music. I don't always look for new songs, but I constantly repeat music I have saved in my library because it brings back great memories. Another thing that I love is to spend time with my friends and make them laugh. When I was younger, I aspired to be an interior designer and was completely obsessed with HGTV, but now with my love for organization I am hoping to be a wedding or events planner. At this point, I really am not sure where I would like to go to college but I do know I want to major in business. I absolutely love to travel and see new places so I really hope my future career involves it so I can explore furthermore. I hope you enjoyed learning about me! I had so much fun with these girls at our group shoot, can we go back and do it again?! Big thanks to Robert Jason Salon for the incredible hair and makeup. You always bring the best out in my seniors, and more importantly, give them the perfect confidence boost. Boston Phographer | Back Bay Watch Co Officially Launches!!! Owned and operated by proud Bostonian, Michael Lembo, Back Bay Watch Company is a collection of Boston centric men’s and women’s watches that capitalize on the classic look and feel of the city. Inspired by the well-known style of the historic Back Bay, with blocks of brownstones, recognizable gold domes, and cozy neighborhoods, each Back Bay watch is intended to represent the city’s staple features that will never go out of style. Named after the iconic streets of the Back Bay, the watches are perfect for those who share their passion for Beantown. A watch enthusiast since an early age, Michael grew up in Waltham, MA, coincidentally named “The Watch City” for its long association with the watch industry. Michael designs each watch using elements of the favorites from his own collection. Created using top-notch materials like Japan movement, 316L stainless steel, and genuine leather, Back Bay watches can be dressed down while watching Sunday Night Football, add a touch of class for a business meeting, or be the finishing touch for a night on the town. I can’t go on and on without mentioning Mike’s incredible girlfriend Karen, who works so hard behind the scenes and specifically on our lifestyle shoot in (where else) Back Bay! I loved this photo shoot for so many reasons (beautiful people don’t hurt), but mostly because these watches are SO Back Bay. They fit so perfectly against the brownstone colors and textures. Below are some of my favorite shots, and of course a few behind the scenes. Please click here to go check out their site that just launched today! It's a holiday weekend and maybe you'll be spending it with family, so of course you'll want to document your time together. We can’t always book a professional photo shoot for every event in our lives. If you can, please call me :) but realistically, we are always looking for ways to capture some great moments when our family is together. Of course my family is lucky enough to have a professional at their fingertips, but below are my 5 best tips that anyone can apply to photographing their own family. 1. De-clutter the background. Look at your surroundings, find a clean background to use as a backdrop, and remove any toys or other items that are movable. If there is background clutter that you can’t remove, consider moving your subjects. 2. Use your entire frame. Nothing bothers me more than a photo that’s half subject/half ceiling. Take the time to compose the shot you want, and really look at what is in every corner of your frame. 3. Think about posing. With larger groups, it’s automatic for everyone to link arms and crouch down a bit. Take a minute to come up with something a little more dynamic. Crouching is never a flattering pose, so bring in a few chairs or stools if you need to. Is there a bench around? I am always looking for ways to photograph groups other than lining them up in one straight line. Get creative and use what is available. 4. Don’t say “cheese”. No smile ever looks genuine by saying the word “cheese”. Instead, if you are working with kids, think of clever ways to make them laugh. It will surprise you how a small amount of silliness can spark some honest, adorable smiles and laughter. 5. Upload your photos and send them out. Really. We all know how convenient it is to have photos from our smart phones at our fingertips, that if we use a camera which requires us to upload our photos, it becomes too difficult. If you are using your “nice camera” to take better family photos, don’t let your efforts go to waste by letting the photos live only in the camera! Set aside 20 minutes that same day, to upload and organize, heck you can even be a real hero, and actually send them out to family members through Dropbox. I hope that helps, please respond below with your comments, questions, and your own successes or nightmares trying to photograph your own family! Boston Portrait Photographer | Introducing The Class of 2017 Senior Models! It’s senior portrait season! If you’re not familiar, I love photographing high school seniors, but not in the traditional way. No, I like to give my seniors an unforgettable, once in a lifetime experience. So I put together my senior model team for the class of 2017. These girls are the face of my studio, and of course we have to give them an extraordinary experience, something to tell their friends about. I am so so excited to have a team of sweet, smart, and talented girls this year, so I want to let each of them introduce themselves. Hayley: Hi I'm Hayley! I'm 17, I live in Andover MA, and am a junior at Central Catholic High School. I'm very outgoing and love to talk. I've been dancing since I was three, it's one of my favorite things to do and has become a part of who I am. When I'm not dancing my favorite things to do are shop and go to the beach. Heyy my name is Shanna! I'm super excited to be a senior rep for the class of 2017! My favorite thing to do, that takes up almost all of my free time, is dance. My passion within dance is most definitely tap and I am constantly found moving my feet (including underneath my desk at school). I go to Central Catholic High School and my favorite subjects are math and science. My goal is to go to college in New York City so that I can study in that field, continue to dance, and truly experience the city that never sleeps. I cannot wait to see what I have to look forward to throughout my senior year! Hi! I'm Lindsay, I'm a senior at TMHS. I love drawing, music, and I'm really excited to be taking photography next year. I'm really into the arts! You can watch our shoot in action in the video below! Senior girls, this one’s for you! I know you are excited to book your senior portrait session, and you want everything to be perfect. Planning for a successful session starts with our consultation. The reason for this is to talk about your style, and ultimately what you want your session to look like. Here are my top 5 tips for having the perfect senior portrait experience. 1. Bring your ideas to the table. If you want to incorporate your favorite activity, or something cool you saw on Pinterest, let me know! You never know what’s possible until we brainstorm. There are so many ways to incorporate your ideas into our photoshoot, don’t knock it until we talk it through. Themes can be a great way to make your shoot original, and sometimes renting a few props can make all the difference. 2. Plan your outfit head to toe. Think about every aspect of your outfit – shoes and accessories play a big roll in tying the look together. If you know me already, you probably know how much I love to accessorize (when in doubt, add a hat! ), and I can’t stress enough how important the styling is to finishing the look. I always encourage people to bring outfits to our initial consultation, since the clothing can inspire our location, and vice versa. 3. Location. If you have seen my work, you know location is important. I LOVE location scouting, and I am always searching for interesting places to give my seniors a special experience. I am always open to your input and suggestions, but please keep in mind that I try to stay away from more mainstream places that are overused as a backdrop. Again, the more insight you give me as to what you want, the better your experience will be. 4. Preparation. It sounds like we are pretty well prepared with our styling and location so far, but the best thing you can do is to finish preparing for your session the 24 hours leading up to it. HYDRATE the day before, if your skin is dehydrated, the camera will show it. Do your nails the day before, or at the very least, remove any old, chipped polish. If you are having your hair and makeup professionally done, make sure to show up with clean, dry hair, and a clean, makeup-free face. If you want your hair and makeup done a certain way, be prepared with a Pinterest board or visuals to show your hair and makeup artist to make sure you get the look you want. 5. Have fun!!! I know this sounds incredibly cliché, and pretty obvious, but if you take no other advice I offer, please take this. The best sessions are the ones where we can laugh together, be silly, and let our creativity fly. If there’s something you want to try, speak up! My favorite photos (and usually yours too), are the ones that let your personality shine. So please, if all else fails, don’t take yourself too seriously, enjoy the experience, and trust me to capture the best of you. Thanks for taking the time to read this, I always love to hear what you think, so please leave a comment below or reach out to me with questions or comments! We are in the final days of the Junior League of Boston Decorators' Show House! We have covered a lot - The Receiving Room, The Grand Dining Room, The Morning Room covered by Beth Daigle, and the talk of the show, the magnificent Kitchen, covered by Kim Macumber. I wanted to wrap up with a few of my favorite rooms from the upstairs. The Study, by Holly Joe Interiors, is exactly the home office I would love to sit in everyday. It is gender neutral, throwing in bits of masculinity with the leather chair and darker details, but brilliantly incorporates femininity with the plants and lighter elements like the glass table and floral window treatment. I LOVE the colors, I have always been draw to the cooler, calming color palette. The textured wall paper seems to be a theme, but I am really thrilled by how it works in this room, it makes me want to dress nicely to work here... maybe a farewell to the work-from-home-in-yoga-pants days? My favorite bedroom is the "Lion, The Witch and The Wardrobe" by Sarah Scales. Do I love it so much for the name alone? Maybe, but when I was a little girl, I always dreamed of having one of those regal canopies that I saw in movies. I love that this one has such a fantastical feel, yet keeping it dark for obvious functional purposes. Then you look up into a starry night sky above, which is intricate beadwork all along the roof of the canopy. Gorgeous. Lastly, The Master Bedroom, by Dibby Flint Design, is just beautifully classic and romantic. Simple and so, so elegant. This sitting area really drew all of my focus, and took over my imagination. I also loved to play dress up as a child, almost on a daily basis, and I can imagine myself playing dress up with vintage gowns and afternoon tea in this very spot. Only 2 days left to check out the Decorators' Show House! If you haven’t been following along our tour through The Junior League of Boston’s Decorator Show House, you’ll want to start from the beginning! Click here to see our first post about Gerald Pomeroy’s stunning receiving room, then click here for writer and magazine editor, Beth Daigle’s take on the beautiful sunny Morning Room, designed by Theodore and Company. Finally, prepare to be wowed by Vani Sayeed’s red kitchen, covered by interior designer Kim Macumber. Onward! Today I’d like to draw focus to The Grand Dining Room that lies in the path between the kitchen and the morning room. There are a lot of things to love about this room, (the horse art piece for one), but my favorite is the walls! The woven silk sky-blue wall treatment adds texture, light, and contrast to the existing mahogany. Yet again, we are seeing hints of gold detail come out in this room, and I am loving the Chinese accents, like the porcelain vase shown below. I am not an interior designer, nor would I ever think of putting an art piece smack in the middle of a window, but to my surprise, it works! If you look closely, you can see the spherical balls reflecting the entire room over and over. The cozy sitting area, perfect for daytime tea, or evening cocktails, is made all the more inviting by pillows and many textures. Can’t you just imagine a modern Chinese tea party here? Don’t forget to check back with Kim's blog from yesterday for a glimpse upstairs, and Beth’s from last week if you missed it. Who doesn’t love a beautifully designed room? 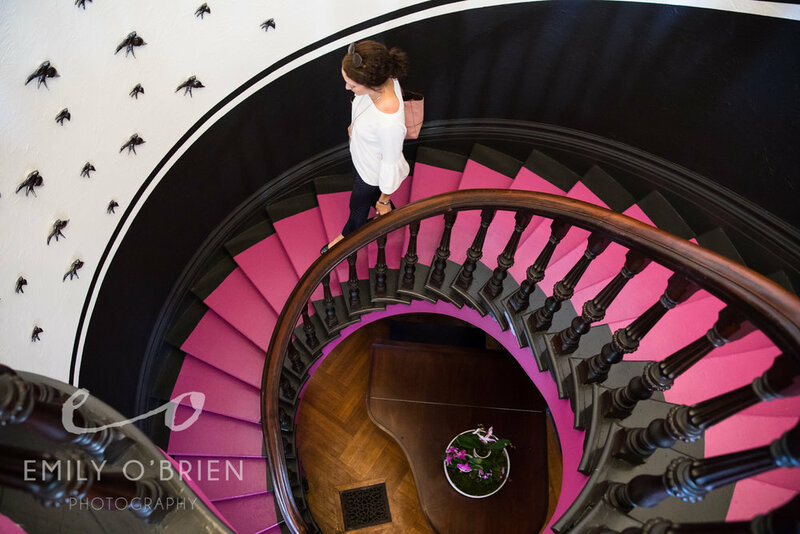 When I heard that the 2016 Junior League of Boston Show House was using the historic Nathanial Allen House and allowing the top interior designers of Boston to create 24 uniquely stunning rooms, I couldn’t wait to visit. My friend Beth Daigle, editor of Merrimack Valley Magazine, and blogger for 3olivesandatwist came along to co-blog about the experience… and what an experience it was walking through this incredibly restored 19th century Greek revival home. Three months. These interior designers transformed these spaces in three months. Floors, walls, window treatments, furniture, lighting, and even plumbing in some. Each room was so well thought out and different, yet the whole house seemed to have a cohesive flow as you are walking through each room. The first two rooms we set foot in, The Receiving Room and The Sitting Room, designed by Gerald Pomeroy Interiors made me want to invite guests over for tea and a garden party. The center table with its massive spring floral arrangement to offset the equally grand decorative plate behind it was the first wow factor. The silk turquoise wallpaper was the second, and the floor to ceiling windows made the room shine with brightness. Gold accents everywhere made the room feel regal, and I have to say my favorite detail was the books covered in some sort of white linen paper. What a well thought out touch. The artwork, the colors, the styling, the Greek key detail on the floor, the details, everything came together so perfectly. Head over to Beth's blog on Monday and interior designer Kim Macumber's blog on Tuesday to get their take on two more rooms. A few years ago, I started giving gifts based on experiences, and I have to say they are my favorite types of gifts to give. Something you can do together is the best! So here is the list, and most of them (not all) are experienced based. Make sure you read until the end of the post to see May's big announcement just for moms! I have worked with both Sandra and Kerianne from Les Fluers, on two separate occasions, both for Merrimack Valley Home Magazine, and both to photograph each of their stunning interiors. You can see Sandra’s home feature here, and Kerianne’s winter wonderland loft here (I want a loft because of her now). When we sat down to discuss photographing the interior of the store, I couldn’t wait to start. As I’ve mentioned before, the inside of Les Fleurs makes me feel like I am walking through a live Anthropologie Catalogue. The reclaimed wood, the burlap, the farmhouse textures, I love it. We met beforehand to talk about how they wanted to use these images and whatwe wanted to display. On the day of the shoot, I have to say, they made my job really easy. Normally an interior photo shoot requires a good amount of rearranging furniture, switching around design elements, moving props in an out, but not on this one. Sandra keeps the inside of the store so fresh, that we really only had to make minor adjustments. Cate was there to help with all the fine tuning, and no surprise, she was so easy to work with… the Fleurettes have the finest attention to detail. All in all, we came out after a half day, with some solid shots, and a few incredible fresh flower arrangements that were made on the spot by the Fleurettes in minutes. Emily Mills is one of my Class of 2016 Senior Reps (we have 3 Emilys total, including me, making up 50% of our group, ha!). She goes to Central Catholic, and can pull off girly, sporty, or sassy. When it was time for her senior session in August, we decided to do a combo of mill building and grassy field for our locations. She brought her best friend, which was so great for getting natural laughs out of her! Emily is one of those girls that just naturally has a positive energy coming from her all the time, so capturing her personality was huge. … though I can’t lie, GIRL HAS SOME SERIOUS SASS. She pulled off the sweet and sassy quite well, and owned those pearls, if I might add. The red dress she chose for the grassy field was perfect. The late afternoon sun with the contrast of red against the colorful field made for some pretty painterly images. We had some good laughs at her session and I’m so glad we captured a few moments of her silliness in her video below. 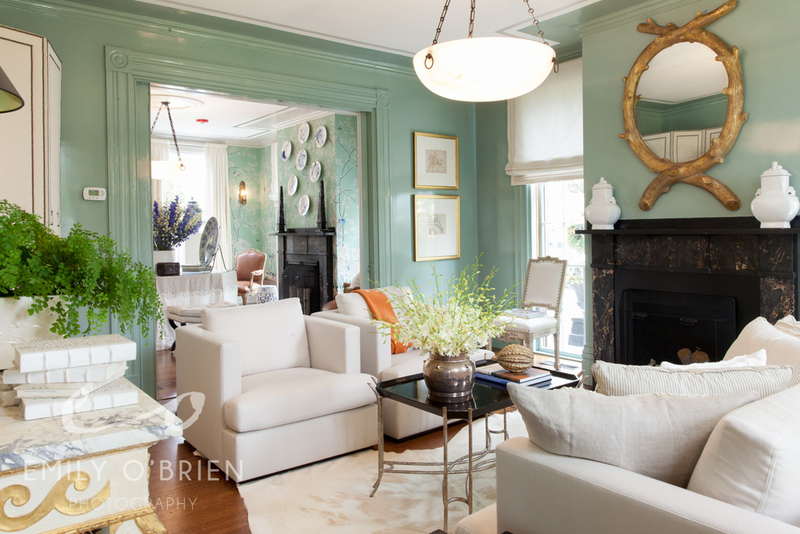 Boston Interior Photography | Spring Color with Flowers! 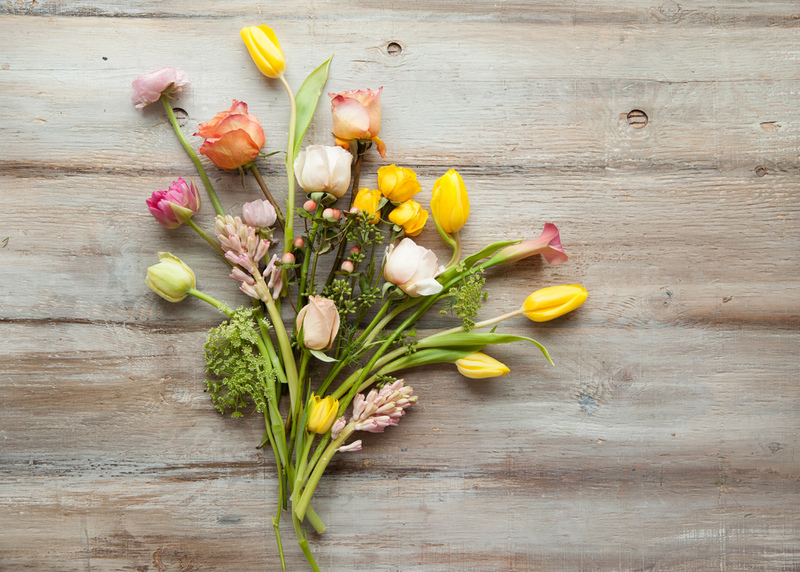 Flowers and spring, yes please! When Beth, editor of Merrimack Valley Home Magazine, came to me and said we were planning a colorful floral spread for the spring home issue, we immediately started brainstorming interesting locations and vintage furniture we could incorporate. Beth came up with a color scheme using lots of vibrant pinks, and a pop of turquoise. When our stylist, Lysa, introduced us to Melissa’s Perfect Piece Furniture, we fell in love! She refinishes furniture using a distressing technique and it seemed to be exactly what we needed to compliment the floral arrangements we had in mind. We went through the antique pieces she already had in stock and settled on a kids’ rolltop desk, which Melissa custom created for us using our theme. The day of the shoot, we started by dissecting some of the arrangements to create the look we wanted. Melissa’s home is basically her showroom, so it was easy to create a well lit neutral dining room setup for our still life florals… and that clock. LOVE that clock. As the shoot was winding down, we had the idea to create these deconstructed arrangements. We ended up loving the look and how it complimented the other images for the publication. Below you can see what went into creating this look. And of course we had to improvise on a harness, since Melissa didn't happen to have one hanging from her ceiling. Is a scarf around the waist safe enough? Sure! Teamwork folks. I’ve shot many of Jacki’s beautiful designs in the past, you can see some of them here. We came up with a “RED” concept for this shoot, in the spirit of Valentine’s Day. Not just red, but that beautiful wintery, deep wine color. Of course Jacki’s dress color was the exact match for the background that I had been dying to use since I got it a year ago, and it just moves and photographs so beautiful. For hair and makeup, we wanted to create a lot of contrast and volume. We wanted the lips to match, and go for very dark accents with the rest of the makeup look. I was so torn for the hair, we knew we wanted volume, but up or down?! After going back and forth with Heather, she obviously nailed it. I wanted to add even more depth and overall volume to the look by adding a headpiece. I stopped at AC Moore on my way to the studio, and created this deep red foral headpiece while Heather worked her magic, and she was able to incorporate it into the hair seamlessly. It was our first time working with Clara, and her ability to go from sweet and silly to pro model in a snap was impressive. Those eyes! She was an absolute doll to work with, and I think (I hope) we will all be working together again soon. Want this, or a similar look? Contact me to plan your own concept shoot.